Excuse me Doctor, I have What? Scripophily is my affliction. 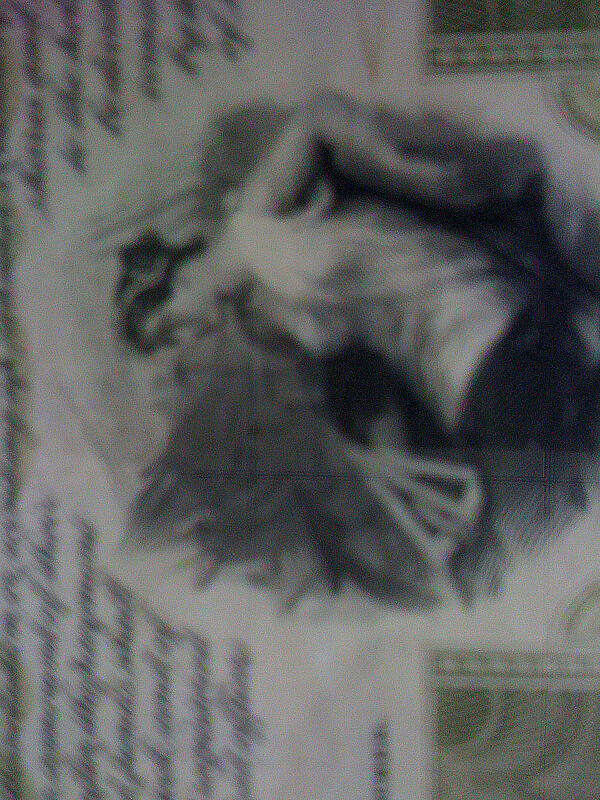 I am a Scripophiliac. 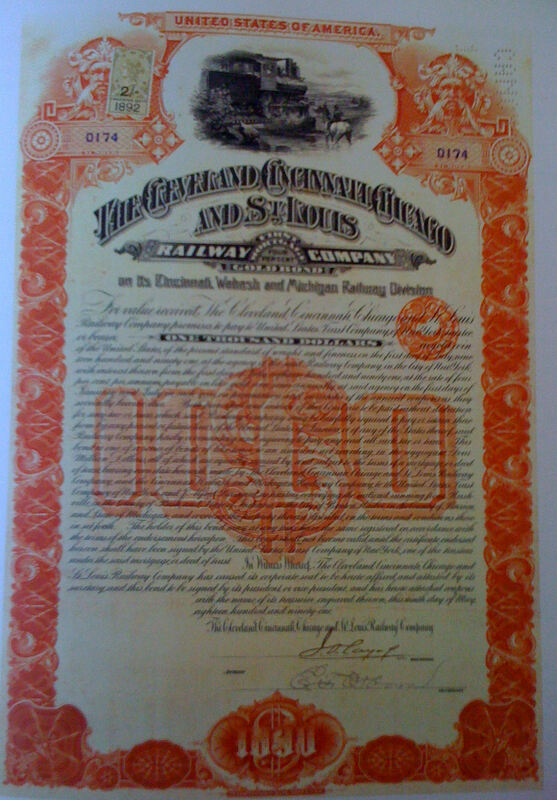 Scripophily is a hobby dedicated to research and collecting of old stock, bond and share certificates. Personally, I believe that they do not have to be real old, just unique and colorful. 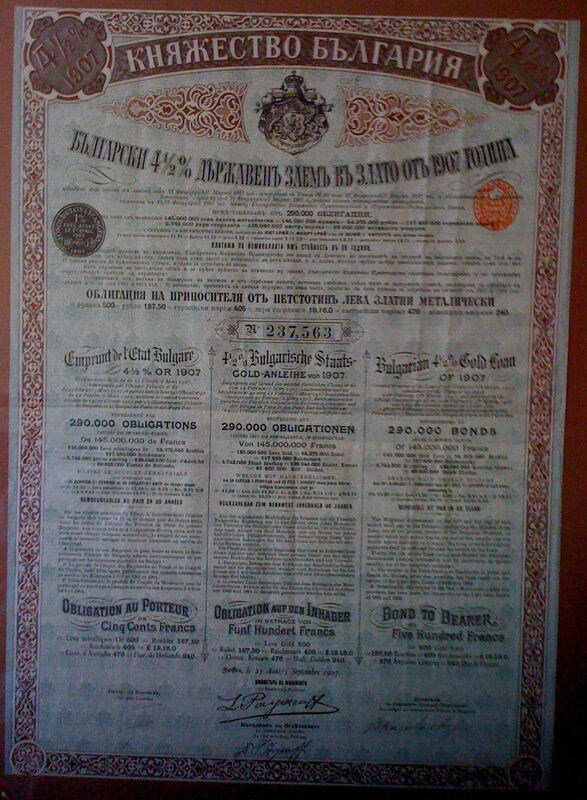 Scripophily is the study and collection of stocks and bonds. A specialized field of numismatics, scripophily is an interesting area of collecting due to both the inherent beauty of some historical documents as well as the interesting historical context of each document. The word “philos” means to love in Greek. 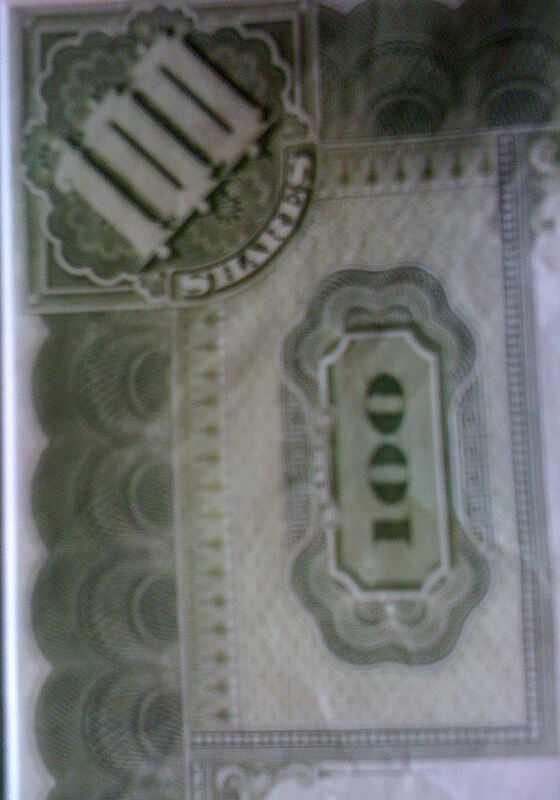 I guest I am a Scripophiliac. Scripophily is truly a world interest. Some think that that the collection route began in the 1970’s. But I know it is way older. 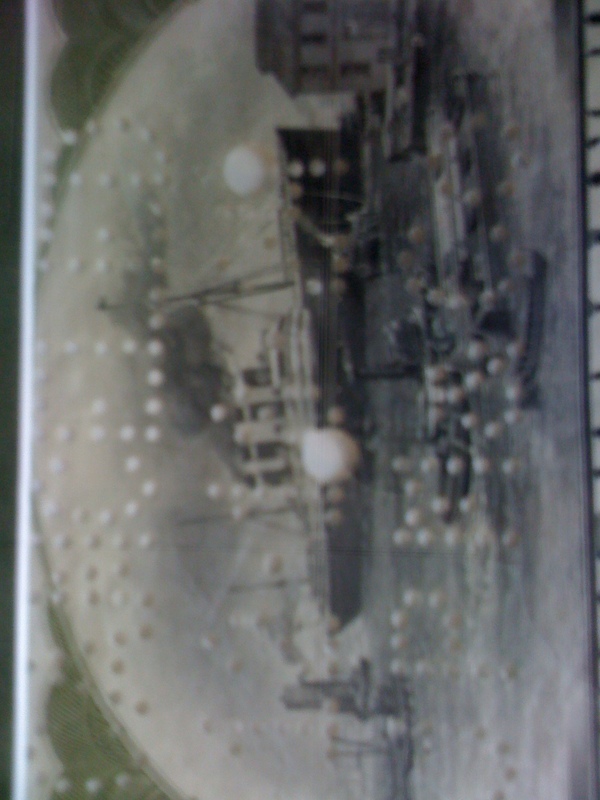 Some collectors were forced into this field from the mere circumstance of enigma. 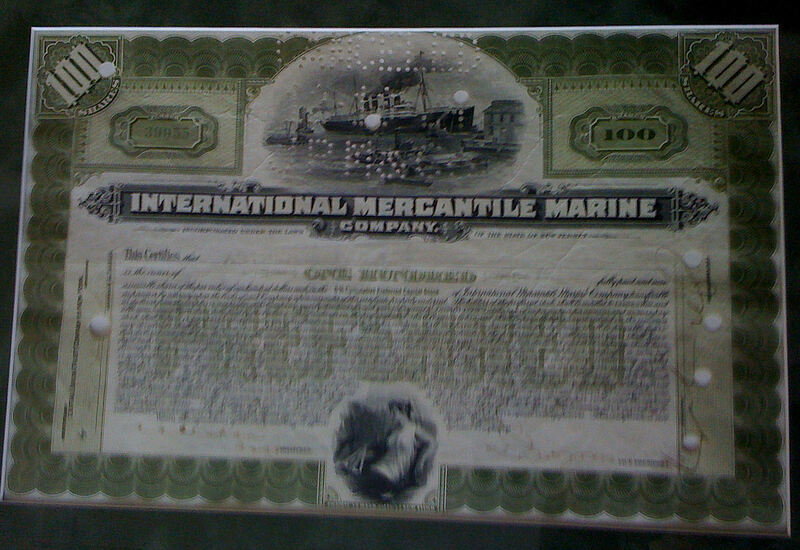 One dear old friend, long departed, once pulled open a desk draw and behold, dozens of defaulted stock certificates. They were colorful, dog-earred, and some non-descript, but all worthless. I asked why he kept them and he said for sentimental reasons. I like the colorful certificates. I really enjoy the theme of billowing smokestacks, Grecian toga clad nymphs or surging locomotives; all far from PC in these days. I have come across Russian Bonds from the Czar’s days, also defaulted after the revolution, with the interest coupons ready to clip, but never touched. The other category that is ripe: dot-com bubble bursts. Yes, many love those disasters. 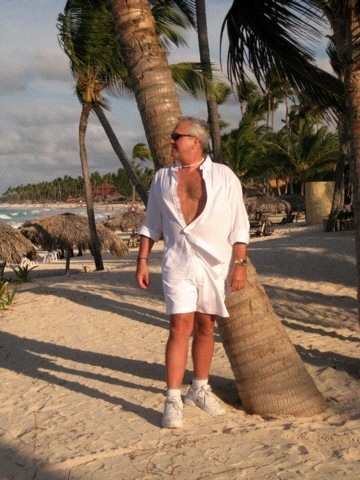 WorldCom, Enron or Pets.Com make the list. 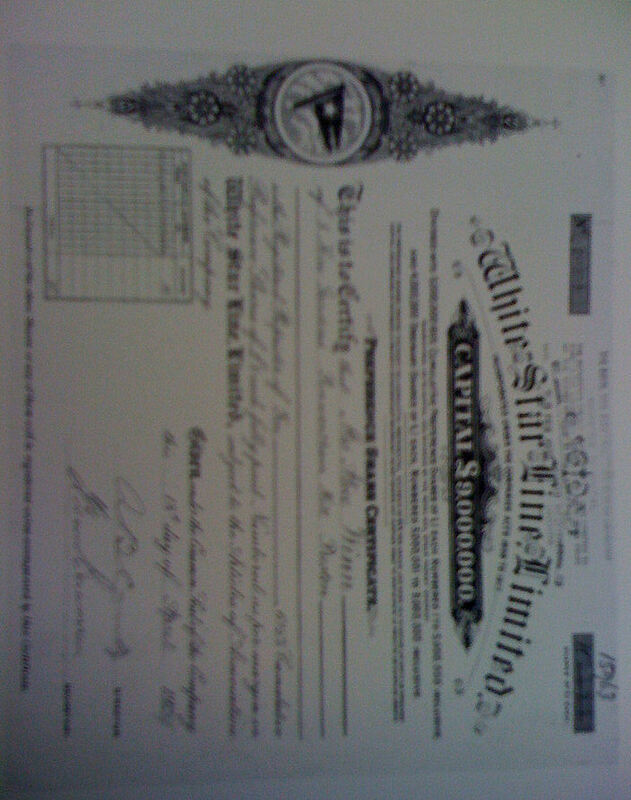 In this digital age, the issuance of a certificate is rare. Bonds just do not do it. Costs are levyed on the issuance of Common Stock script, too. Flea market supply is out there but the great inventory is at Scripophily dealers, like rare book stores. 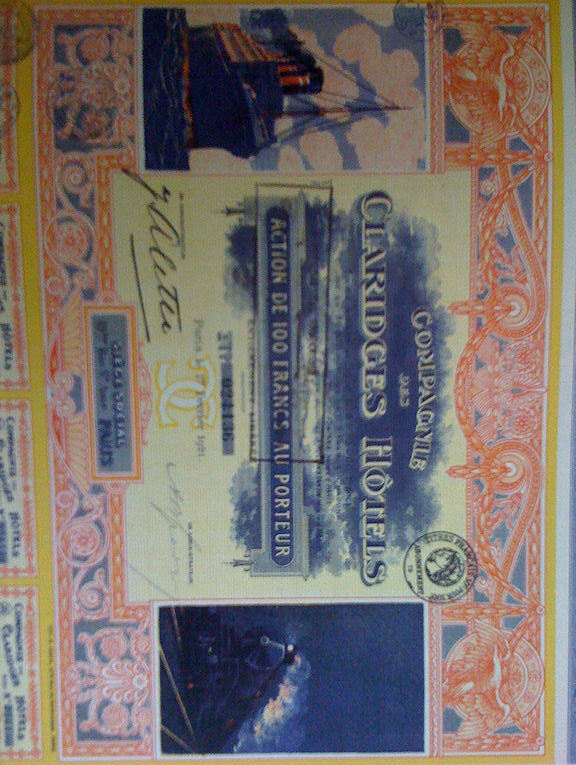 My real passion is to continue to find the certificates of the HMS Titanic White Star Line, the parent, International Mercantile Marine and others in shipping. Sweet! 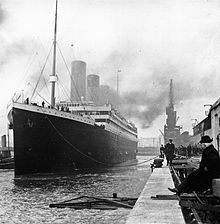 Titanic prior to departure, April 1912.